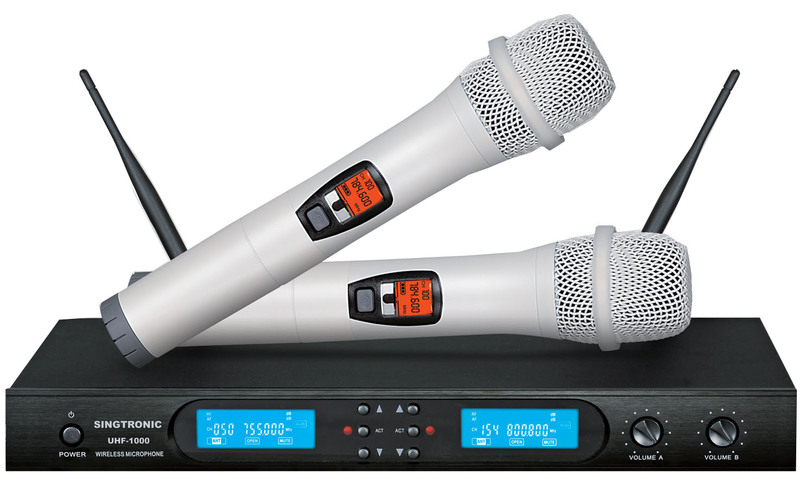 Experience the ultimate freedom and versatility with the SINGTRONIC UHF-1000 Professional Dual Channel PLL Module Automatic Channel Targeting Wireless Microphone System. 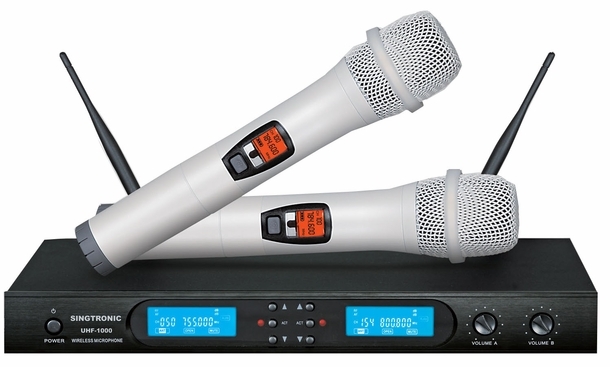 The Dual channel UHF wireless microphone system with each microphone on its own independent UHF 800Mhz Band channel will gives you maximum utilization without the fear of frequency interference. Going wireless means that you are free from cables for up to 500 feet of range from the receiver unit. Plus, a 8-hour microphone AA battery long life means the singing can last all night. Users will love that each microphone channel has its own field-replaceable module that can easily slides out and service.